He led his nation through the most difficult times it had known, restoring a shattered Union and ending slavery in America. Lincoln had struggled to heal the wounds of war, yet he became one of its last victims, and the war left the country no less divided. Abraham Lincoln grew up on the American frontier. Born in a log cabin in the wilderness of Kentucky on February 12, 1809, Lincoln moved to Indiana with his family when he was seven. The 14 years spent in Indiana were hard ones. The family struggled for survival, living off the meager crops they could raise and the animals they could kill. When Lincoln was nine, his beloved mother, Nancy Lincoln, died. A year later, his father married another woman, Sarah Bush Johnston Lincoln, who raised the Lincoln children with love and affection. The Lincolns moved again, this time to Illinois, when Abraham was 21. Shortly after, Abraham settled in New Salem, Illinois, where he worked as a storekeeper, postmaster, and surveyor. His warm sense of humor and knack for storytelling won him friends in New Salem -- and helped pave his way to the world of politics. Lincoln lost his first election -- for a seat in the Illinois State Legislature. But in 1834, he was elected to the legislature for the first of four terms. In 1836 Lincoln passed the Illinois bar and began to practice law, trying cases both in the capital of Springfield and all over the state, where he traveled by horseback and in a horse-drawn carriage. 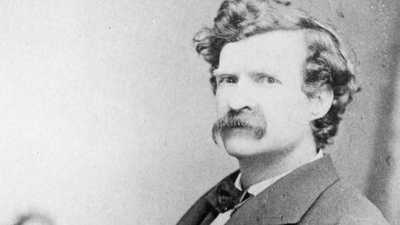 In courtroom after courtroom, Lincoln became known not only for his legal skills, but also for his humor, honesty and fairness. As his reputation grew, he took on bigger clients, including banks, insurance companies, and the Illinois Central Railroad. On November 4, 1842, Lincoln married Mary Todd, the ambitious, bright daughter of a prosperous Lexington, Kentucky, businessman. The Lincolns moved into a one-story house in Springfield; they soon added a second story, a sign of their increasing prosperity and their growing family. Mary gave birth to four children, but only one would live to adulthood. For much of her adult life, Mrs. Lincoln struggled with depression and mental instability. The death of three children and her husband's preoccupation with political matters during the Civil War would only make matters worse. 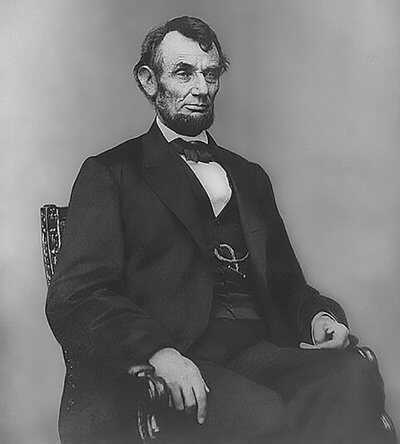 Abraham Lincoln won election to the U.S. Congress in 1846. As a Congressman, he criticized the United States' participation in the Mexican War. Still, he worked to help Zachary Taylor, a hero of that war, win the presidency in 1848. But Lincoln had promised to serve only one term, and he did not run for re-election. Lincoln got another chance shortly after joining the newly formed Republican Party in 1856. Two years later, in a battle that made national headlines, Lincoln fought Democrat Stephen Douglas for a seat in the United States Senate. In a series of hotly contested debates, the men argued over the issue that was dividing the nation — slavery. Douglas opposed abolition. 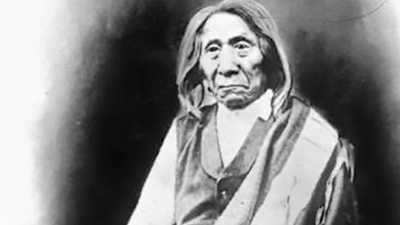 He also believed that people in new U.S. territories should have the right to legalize slavery. Lincoln did not support abolition, either. In fact, he didn't think blacks would ever be equal to whites, though he would eventually believe in their basic humanity, their equal treatment and equality before the law. Debating Douglas, he vigorously opposed the extension of slavery into the territories. When the votes were counted, Lincoln had lost the election. But his skill in the debates against Douglas won him national recognition. Two years later, in 1860, Lincoln was nominated as the Republican presidential candidate. Thanks to a deeply divided opposition, Lincoln won. But he faced a nation unable to settle the slavery question, and willing to fight over it. Lincoln took office on March 4, 1861, and by then the country was already collapsing. South Carolina and six other slave states had seceded from the Union. On April 12, Confederate guns fired on Union troops at Fort Sumter, South Carolina. The Civil War had begun. At the start of the war, the Union enjoyed an advantage over the South in both men and materials. But Lincoln faced a number of different challenges. Not the least of these was opposition in the North to what many felt was a war to end slavery. During his time in the White House, Lincoln's ideas about slavery — and about blacks — evolved. His meetings with prominent African American leaders such as Frederick Douglas helped convince Lincoln that blacks could be equal. On January 1, 1863, Lincoln issued the Emancipation Proclamation, which declared that all slaves in Confederate territory were free. Shortly thereafter, Lincoln allowed African Americans to fight in the Union Army. 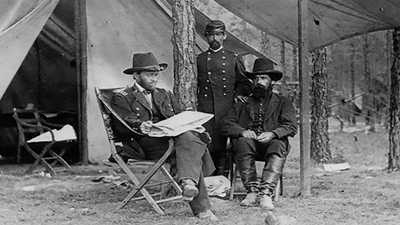 Lincoln also struggled to find a commander who would attack the Confederates aggressively. In Ulysses S. Grant, the president found his man. Lincoln named Grant commander of all federal armies in March 1864. With Lincoln's support, Grant pursued a policy of total war -- attacking not only Confederate soldiers but also the Southern economy. Destroying Southern cities, farms, and factories, Lincoln and Grant understood, would destroy Southerners' will to fight. By the fall of 1864, with Grant winning battles and the tide of war turning, Lincoln won re-election. In his campaign, he promised to pursue a policy of bringing the Southern states back into the Union and ending slavery forever. But to pursue these policies effectively, Lincoln needed Grant to win the war. Grant gave his commander in chief the victory he needed. In April 1865, little more than a year after Lincoln named Grant commander of the federal armies, the Confederates surrendered. Four years of disastrous war had deeply divided the nation. But Lincoln initiated the effort to bring the South back into the fold. Unlike many members of his party, Lincoln believed it would be wrong to harshly punish the South. He planned to pursue a Reconstruction policy in which the South was given generous treatment. But he also listened to the Radical Republicans who insisted on punishing the Confederacy. Before Lincoln could guide Reconstruction, an assassin cut his life short. On April 14, 1865, John Wilkes Booth, a supporter of the Confederacy and of slavery, shot Lincoln as the president and his wife watched a performance at Ford's Theatre in Washington, D.C. The president died the next morning, and Vice President Andrew Johnson entered the nation's highest office.